The Yin and Yang of Pasadena and beyond. The pink and white flowers produced in the spring begin to turn a nice rust-brown color this time of year, and may be gathered and mixed with wheat flour to create bread, porridge, or one of my favorite breakfast dishes which I created this morning -- pancakes! 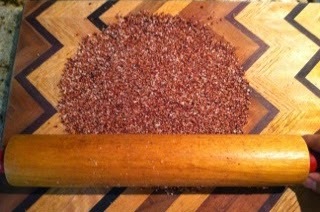 The first step in using buckwheat as flour is separating the dried seed heads from the stems. This process was easily accomplished with the help of a rolling pin. 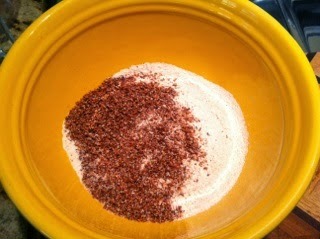 I simply ground down the buckwheat, and then picked out the stems. 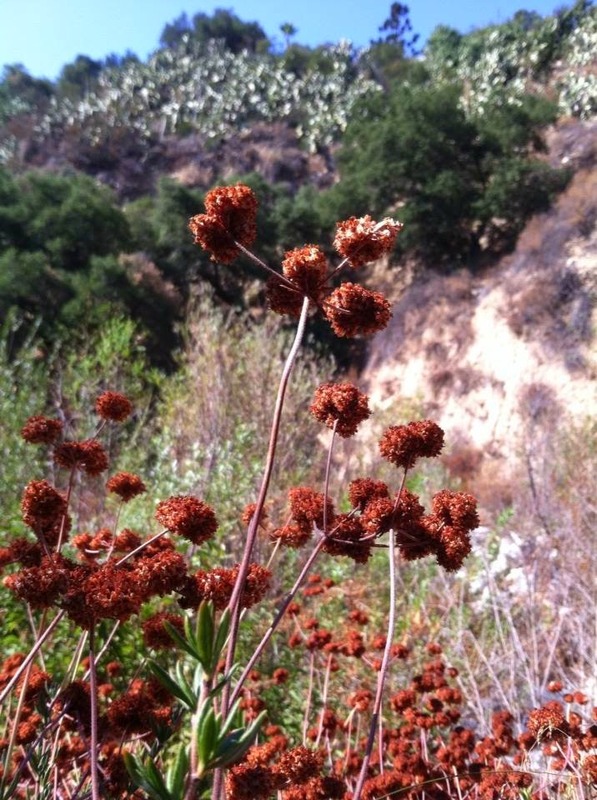 California Buckwheat was a favorite staple of the elderly back in the old days, as the seeds required minimal processing and were easy to eat. The flavor of California Buckwheat can be somewhat creamy, with a woody coarseness reminiscent of sawdust. It’s not a bad flavor, and the coarseness was definitely diminished by grinding it down. I added about 1/4 a ratio of buckwheat flour to 3/4 whole wheat flour in order to enjoy the flavor of the buckwheat without being overwhelmed by it. 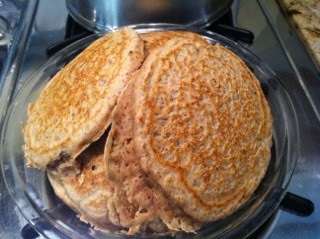 The whole wheat flour also helps to keep the pancakes together while cooking. If someday the sh*t hit the fan and food was not readily available, knowledge of California Buckwheat could go a long way toward stretching out depleted rations of flour! 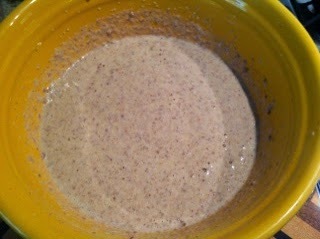 The pancake batter looked lovely, and the pancakes turned out great! The ratio of buckwheat to whole wheat flour was the perfect amount, and I loved the specks of California Buckwheat that were cooked into the pancakes. The distinctive California Buckwheat flavor is perfectly complimented with some butter or coconut oil, maple syrup or local honey, and fresh berries on top. 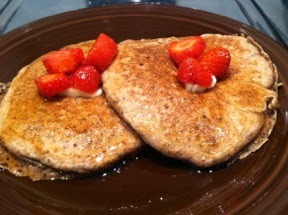 My white-sage enhanced green tea combined with these California Buckwheat pancakes to create the perfect native California breakfast -- a simple and satisfying way to connect myself physically and spiritually with the land I call home. Sounds intriguing, Tim. Have to try them. Impressive! I'm going to head out and pick an armload of the stuff. Let me know how it goes, Petrea! Could other species of buckwheat be used? Although I'm sure other species of Eriogonum (buckwheat) are edible, it is only Eriogonum fasciculatum, or California buckwheat that I know to be traditionally used as food. California native plant nurseries sell this plant! Growing it in your yard is the best, because it's drought tolerant and you can provide habitat for the birds, bees and pollinators that we share the land with. I recommend visiting the Hahamongna Cooperative Nursery in Pasadena to purchase CA buckwheat plants, and to learn more about traditional uses.